Aye caramba! My shirt may have read ‘Beary Heavenly’, but being dead without anyone knowing who I am is not heavenly at all! On September 27, 2008, my skeletal remains were found in the woods, in a remote section of western Calhoun County, South Carolina. 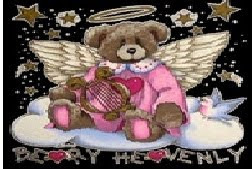 I was wearing a black cotton nightgown with a teddy bear pictured on the front, along with the words ‘Beary Heavenly’. Kind of ironic, isn’t it? What else do they know about me, you ask? Well, they know that I was a Hispanic female between the ages of 25 and 40. I stood between 5’4” and 5’9” tall and it’s unclear how much I weighed. All my molars were intact. They believe my name might be Maria. 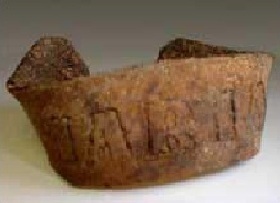 When I was found, I was wearing a leather cuff-type bracelet with ‘Maria’ embossed on it. Of course, I was also wearing the nightgown, which told the investigators that whatever happened to me very likely happened at home or in a very private setting - not out in public. The investigators believe that I was murdered. They said I was probably in the place where I was found for at least 18 months (or longer), as my remains were covered with several layers of pine straw. The investigators also believe that I may have had at least one child. Shouldn’t that mean that someone out there is missing me, looking for me? 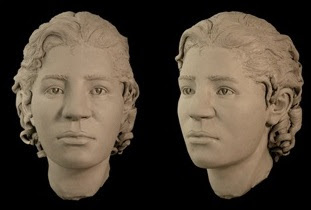 Forensic artists have been able to create a reconstruction of my face. Please look at it carefully. Do I look like someone you used to know…someone who may have just suddenly stopped coming into your place of business or was no longer seen on the street where you live? Maybe you can tell investigators who I am, and once they know that, they are one step closer to figuring out exactly what happened to me - and who killed me. For me, what would be ’beary heavenly’ now would simply be to have my name back. Are you the one who can help me? Can You Identify Me is an approved 501(c)(3) charitable non-profit organization, formed in the State of Nevada. Contributions to Can You Identify Me are tax-deductible to the extent permitted by law. Sign up here for free email delivery as this blog is updated! Are you following Can You Identify Me?